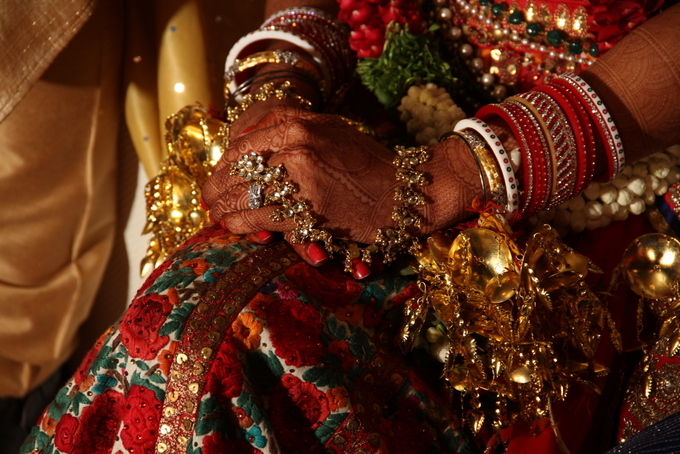 To say that the wedding day for an Indian bride is a big day; is an apparent understatement. Words fall short of all the emotions, thoughts and even physical sensations that are attached to this day for a soon to be married woman. In the midst of these myriad emotions, thoughts, sensations and palpable excitement; the bride is still expected to do her part to ensure that the wedding ceremony, reception and all the rituals that make up the big fat Indian wedding go off without a hitch. Bearing this in mind; the bride needs to be well prepared for her big day. 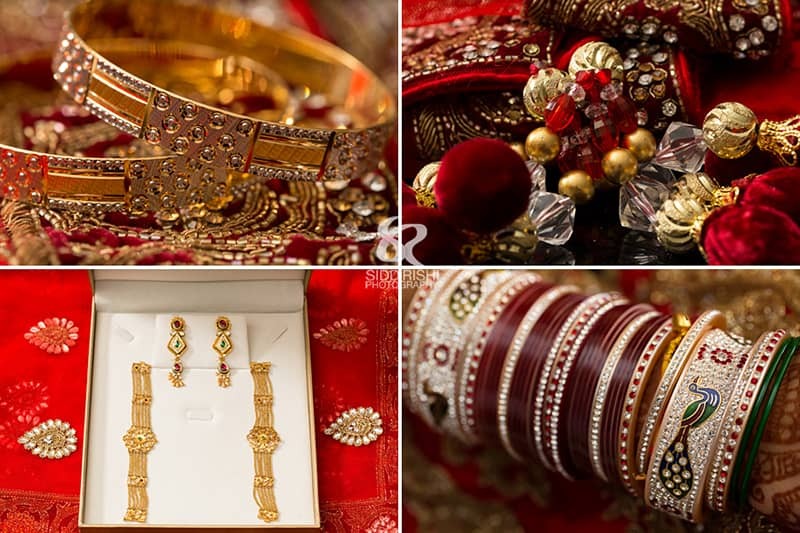 This involves taking measures to ensure that the bride is ready for every possible scenario that may crop up during the course of getting ready for the wedding, the wedding rituals and the celebrations that follow right after. 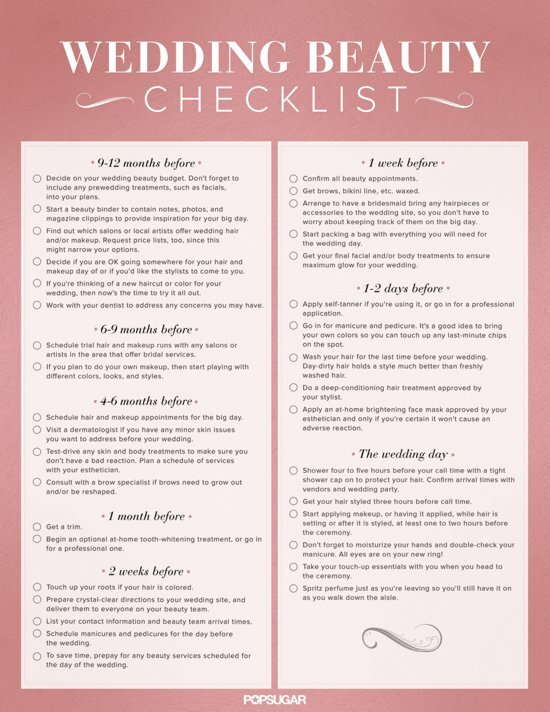 This may involve putting together an all inclusive and comprehensive checklist and ensuring that every item that will help the bride get through her wedding day without any room for mess-ups and embarrassment; goes on this checklist. 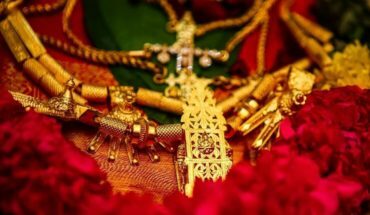 In an effort to help any soon to be bride; this article provides assistance on putting this mandatory checklist together by listing essentials for an Indian bride on her wedding day. Read further to know more. A nightmare scenario for any bride is for something to go wrong on her wedding day. A broken heel, a sudden rain shower, smudged makeup and many other factors such as these; can actually ruin the fairy tale wedding every girl always wants. Sure; all of the chaotic scenarios mentioned above are simply superficial and do not compare to the act of creating a lifetime bond. However, absolutely; no one wants to associate their wedding day with chaos and mess-ups. This checklist of everything a bride needs to organize for her wedding day will ensure that the bride has some control over the wedding proceedings and can prevent any mess-ups due with precaution and preparatory measures taken beforehand. Read further to know more. The first step towards looking the part of a bride is bridal hair and makeup and most brides opt for bridal hair and makeup in a styling salon setting. The complete wedding ensemble with an emphasis on not missing out on any item; whether it’s the blouse that goes with the bridal saree or the dupatta (sash) that goes with the bridal lehenga choli ensemble. The bride should have a separate bag for bridal accessories along with a separate accessories checklist and ensure that every item on the checklist goes into this bridal accessories bag. Bridal shoes and other essentials like undergarments, wet wipes, safety pins, hair pins and perfume and tissues are smaller items that may be easily forgotten. Care should be taken to ensure that these items are not only on the bride’s wedding day checklist but also goes into her bridal essentials bag; prior to hair and makeup sessions. The bride needs to carry both cash and credit cards to the styling salon to ensure that payments are not only made for services rendered but tips are also paid as an act of gratuity. The styling, hair and makeup sessions may prove to endeavour that take a significant amount of time and the bride needs to ensure that she has easy to eat snacks like nutrition bars and chocolate bars to refuel energy reserves. If the bride intends to make her way from the salon to the wedding venue; she also needs to take into consideration items she will require post the wedding. This post wedding essentials bags should hold the wedding reception ensemble, shoes, jewellery, makeup remover, plenty of tissue and wet wipes. Certain essentials such as an umbrella, an extra pair of shoes, an extra pair of undergarments and your very own makeup kit may not be required at the end of the day. However, having these items on the bridal essentials checklist can ensure that the bride has options when faced with a sticky situation. Unfortunate events can range from a sudden downpour of rain on the way to the wedding venue or bridal makeup at the styling salon that do not suit the bride’s needs. The bride should be prepared for such unfortunate mess-ups. As is the natural order of things; a girl goes from being a bride to being a wife and if a wedding is followed by a girls immediate entry into her marital home or a post-wedding getaway; she needs to be prepared with her bride to wife essentials. The bride to wife essentials bag would include everything needed for the bride’s first night with the husband at a hotel or her husband’s home. These essentials are as listed below. It is important to note that the bride must arrange for these items to reach the hotel room or her husband’s home well before the wedding reception is over. As mentioned before, for any wedding to go off without a hitch the bride has to ensure that she lives up to her responsibilities. This would require a systematic checklist of things to do before, during and after the wedding. Having a checklist means no slip-ups on the part of the bride and zero unnecessary embarrassments. Some responsibilities the bride needs to keep in mind are as follows. If the bride is calling the shots in terms of bridal trousseau which includes the bridal ensemble and accessories; she needs to ensure that vendors deliver on time for the big day. Getting this done right means ensuring that all trials and fittings including alterations to the bridal ensemble are completed a few days prior to the wedding. Conceptualizing the bridal look is mostly the responsibility of the bride and she needs to ensure that her vision is delivered to the dress designer, stylist, hairdresser and makeup artist; well in advance to the wedding day. The Indian wedding is such that the bride needs to be ready in all her wedding finery well before the groom and his people can arrive. Hence the bride needs to be punctual so as not to keep anyone waiting to commence with the wedding rituals. 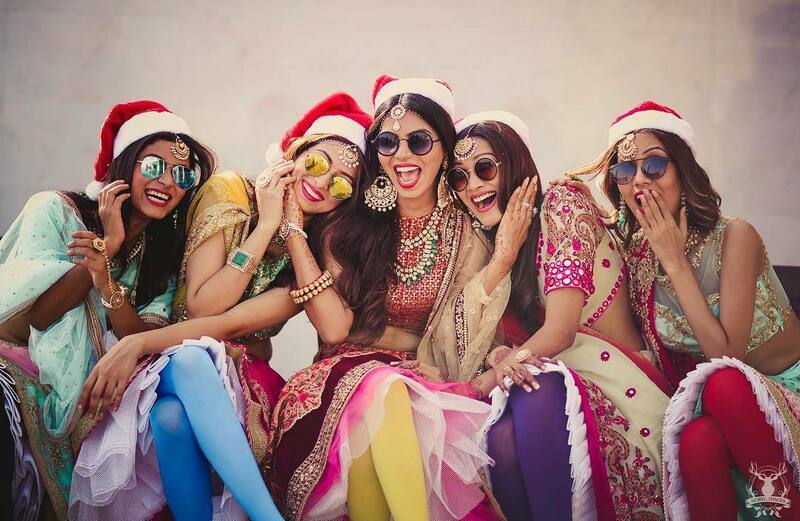 Any Indian bride can benefit from these suggestions related to wedding logistics listed below. The bride needs to pre-plan bridal styling and hair and makeup keeping in mind the auspicious hour or “Shubh Mahurat” for the commencement of wedding rituals. The bride needs to ensure that there is a level of coordination between her team and the groom’s team so as to appear; as a couple in sync with each other. While engrossed in hair and makeup; the bride needs to communicate with the groom’s team to ensure that she is on time at the wedding venue. The bride should proactively capture behind the scenes wedding shots with the help of the wedding photographer. If the bride has any involvement in wedding music and entertainment; she needs to make last minute checks to ensure that everything goes off without a hitch. Getting married is sure to keep the bride busy; which is why she should not only have items on her checklist but also people. These people are the bride’s mother, sisters and friends; who will ensure that the bride’s dream wedding is carried out to perfection. It’s best for the bride to encourage her friends to take on specific wedding duties such as organizing transportation to the styling salon followed by transportation to the wedding venue, coordinating with hair and makeup people, being around the bride for moral support and coordinating with the groom’s people. When the bride makes a conscious effort to assign specific tasks to specific people she is ensuring that her team is working like a well-oiled machine. In conclusion; these are the obvious bridal checklist suggestions to keep in mind. Every marriage is different and every bride has her own specific needs. It is the bride’s responsibility to fit these needs into her wedding day checklist.